I was responsible for all aspects of developing this website, which aimed to bring together the hundreds of separate Ignite chapters around the world into a cohesive and centralised page. 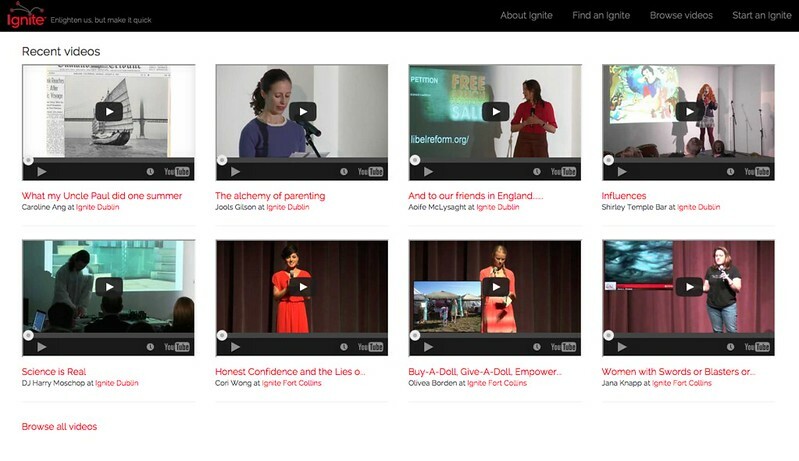 Individual organisers can upload their videos to the site, with admin users granted permissions to promote and highlight the best Ignite videos. A comprehensive administration system underpins the site.